Want the wo/man in the street to care about realising better sound quality on the go? 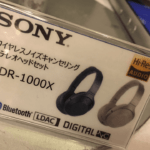 Whatever you do, don’t suggest that s/he go with a second device that only plays music (like one of the many Sony Walkmen or Astell&Kern devices). A second unit to manage and charge is a pain. The initially noisy, but now tomb-silent, Team Pono taught us that. Even DAPs capable of cloud streaming are a bridge too far for the mainstream consumer. Instead, how about we ask that s/he consider a pair of Lightning-terminated headphones that bypass the iPhone’s internal D/A conversion and headphone amplification (like the Philips Fidelio M2L)? Or offer up a dongle adaptor – OTG for Android, Lightning to USB for iOS – and lower-power-drawing USB DAC (like AudioQuest’s DragonFly Black/Red)? More obviously, we might invite him/her to try an Android smartphone with an ESS Labs 9218 DAC (like LG’s V20). This month brings something new from Onkyo. Their Granbeat DP-CMX1 was developed in conjunction with Fujitsu Connected Technologies Limited. It’s DAP and smartphone in one device. Rather than incorporate audiophile-sensitive circuitry into a smartphone, the Onkyo/Fujitsu team have effectively added phone functionality to an Android 6.0 Marhsmallow-powered DAP where the ESS ES9018C2M DAC and headphone amp sit on a separate board shielded from the main (phone) circuit: a Qualcomm MSM8956 Hexa-Core (1.8G + 1.4G) processor with 3GB RAM. From the press release: “The [Granbeat is] the world’s first smartphone to incorporate a full-balanced drive circuit and a balanced output jack for headphones.” 3.5mm for single ended headphones, 2.5mm for balanced. Just like your Astell&Kern. 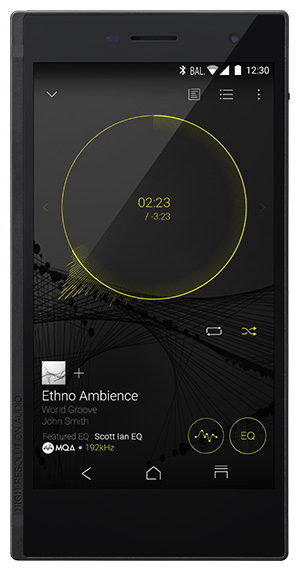 We might view the Granbeat DP-CMX1 as Onkyo’s DP-X1 DAP with phone functionality. The Granbeat will not only play hi-res audio or improve the sound of Redbook and streaming (Spotify, Tidal etc), it will make phone calls and send/receive text messages. Being an Android device, full access to Google Play Store is also part of the deal. Hello Pandora and Soundcloud. Taking audio quality up a notch, hi-res file compatibility tops out at 24bit/384kHz for PCM and 11.2MHz for DSD. The Onkyo-branded device is also ready to rock with MQA decoding and rendering; that means listeners get the full hi-res unfold and pre-emptive correction of the DAC chip’s pre-ringing. Runtime between charges? The internal 3000Ah battery threatens 480 hours on standby, 22 hours’ continuous call time or 25 hours of continuous hi-res (24bit/96kHz PCM) playback. That’s quite a bit longer than your average Astell&Kern. Internal storage for music content (and anything else) sits at 128Gb out of the box with a microSD card slot ready for an additional 256Gb. Other features include dual band wifi, dual SIM compatibility and a case cut from a solid block of aluminium. Then comes the wrinkle* [see update below]: the Granbeat DP-CMX 1 is Japan only. You’ll have to travel to get your hands on one. The retail price, as per many Japanese products, is listed as “open”. Your guess is as good as mine. Still, the Onkyo Granbeat DP-CMX1 strikes the middle-ground between the mainstream’s need for a single device and the audiophile’s desire for proper attention being paid to sound quality. 100% pragmatic. 100% Future-Fi. UPDATE: DAR reader Cameron W. has pointed out that the Grantbeat is currently available from an Amazon.com reseller for US$1680. I really like my iPhone, and all my family and friends have one, as well, so interoperability with FaceTime, etc., is important. Probably because there isn’t sufficient market demand for such a device. Onkyo had the balanced ESS hi-res DAP side already nailed down so maybe having Fujitsu add the phone section wasn’t too much of a leap. An interesting product you did not mention, is the Audeze iSine E20( and E10), in ear headphones. I have purchased the E20, and have been using it for several months with my Apple iPhone 7 Plus ( with 256 GB storage). The iSine E20, comes with a lightning cord and a DAC built in the cord. It also has tunable DSP ( or equalizer), that can be controlled by a phone App. They are the first planar magnetic in ear headphones! One of the key features that I find very user friendly, is that I can receive phone calls with the headphones, while listening to music! This may seem trivial, however, I also have an Oppo HA2 portable DAC and Headphone Amplifier. When I am using the HA2, and a call comes in, I have to quickly unplug everything and reconnect just the headphones to the phone! This is made doubly difficult, since, I also have to scramble and find the Apple Lightning to 3.5mm jack dongle, as well! So, from a convenience factor, not only do I just carry my iPhone ( as opposed to a separate DAP, as well), I can also leave the HA2 behind. 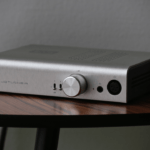 Admittingly, the HA2 does sound better, having more power and a probably a better DAC chip. It even enhances the sound of the Audeze iSine E20, if I use their non-ligtning 3.5mm cord. However, the sound quality of the E20, is pretty amazing even using their Lightning cord ( with their built in DAC). I find the overwhelming convenience factor, along with very high quality sound, makes these a top choice for me. I use Tidal as my primary listening source. I chose the 256 GB iPhone 7 Plus, specifically for the large storage capacity ( which was double that of my previous iPhone 6 Plus). This allows me to download on to the phone a large number of albums on the Tidal App. I can then play them in full “Hi Fi” mode, without worrying about ” buffering” problems, which can be an issue with Tidal’s “lossless”, streaming. Also, as I have become more familiar with Tidal, I find there are many albums that were recorded well, or are higher resolution than 16 bit, 44 KHz ( SACDs for example). This higher quality is clearly distinguishable on Tidal. As an aside, I have also listened extensively to the “MQA”, recordings now available only on the desktop version of Tidal. In my listening, they are noticeably superior to the non -MQA versions. From my understanding, I believe all or most of these MQA albums, are also 24 bit 96 KHz, as well. So, whether the better sound is due to the only partial MQA effect ( I don’t have an MQA enabled DAC, to get the full MQA effect), or the higher resolution recordings, I do not know. In any case, I am greatly enthused by their efforts to “raise the bar”, for streaming services! I plan on purchasing an MQA enabled DAC at soon, so as to experience more of what MQA may provide. I hope that Tidal is able to extend their MQA offerings to the mobile App soon, as well. I deliberately gave the nod to Fidelios because I’m already reviewing the iSine 20. And yes, they are very good as you say. $1680US… “a bridge too far for the mainstream consumer” I might suggest. I’d be inclined to agree with you but I also wonder if the Amazon.com reseller price is a true reflection of the Japanese retail price. Smartone Hong Kong just released the Onkyo Granbeat (Ulocked like all HK phones) for HKD 6000 (USD 800 approx). Are all of the Onkyo GRANBEAT DP-CMX1’s made in China? So is Onkyo DP-X1A and the GRANBEAT DP-CMX1 basically the same except for the addition of the phone and minus a few gb of storage card capacity? Or. Would you say that the sound quality is indeed better on one over the other?